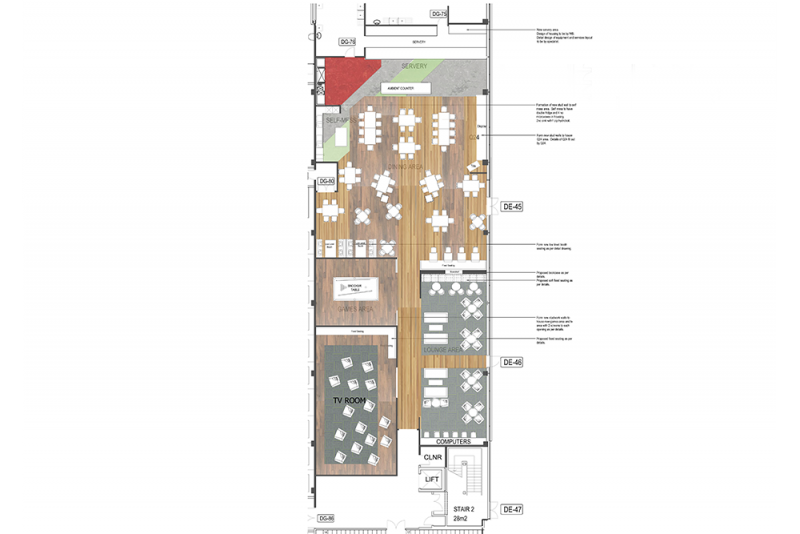 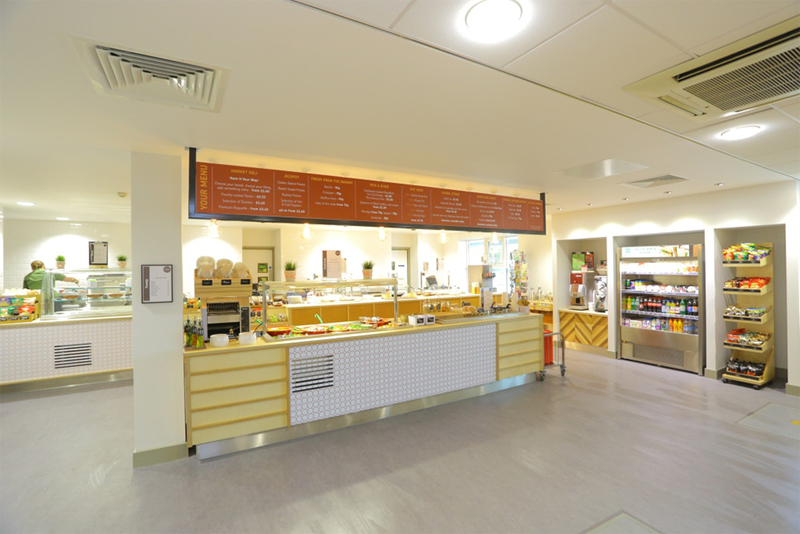 Watson Batty Architects have worked closely with Royal Mail and its key catering suppliers to develop a new concept for Mail Centre restaurant and welfare facilities. 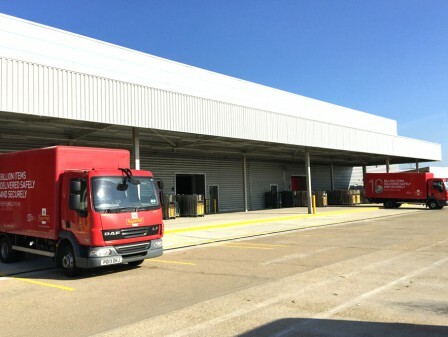 Mail Centres are the largest properties in Royal Mails portfolio and operate 24hours a day. 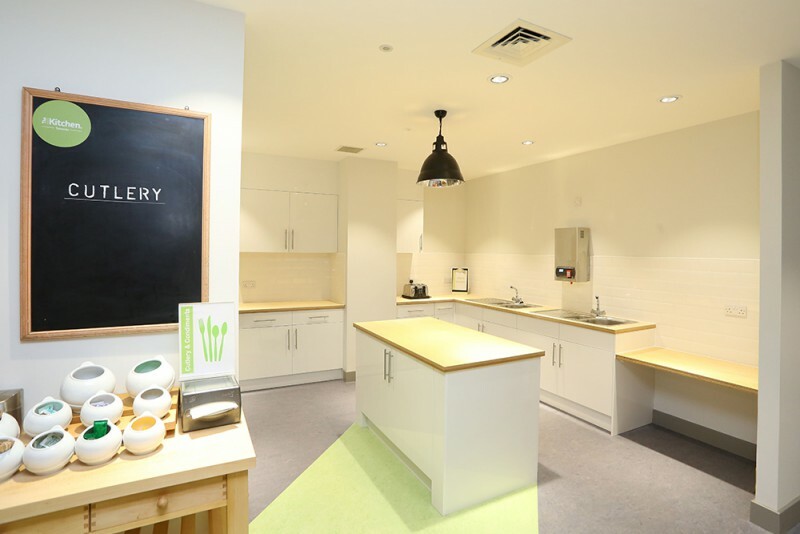 Staff facilities are a key aspect of these sites. 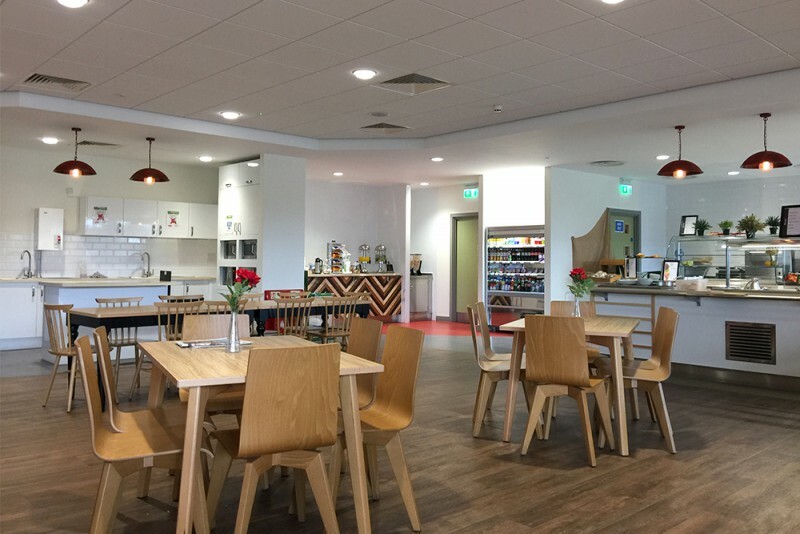 Working closely with Royal Mail and its key catering suppliers, Watson Batty Architects delivered a complete redesign of the group’s mail centre staff restaurant and welfare facilities. 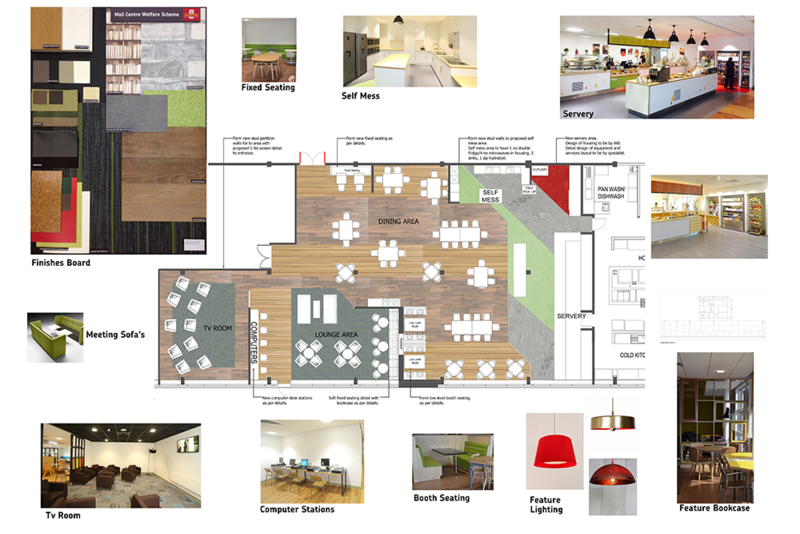 The concept design for the facilities was undertake by Watson Batty Architects with the potential to be rolled out across the organisation. 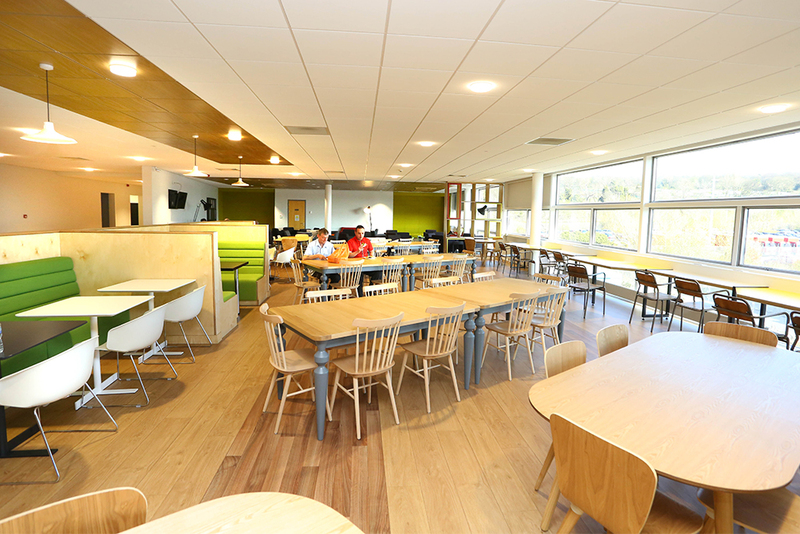 The exciting concept included a new type of food offer and refurbished spaces in which staff can enjoy there break periods. 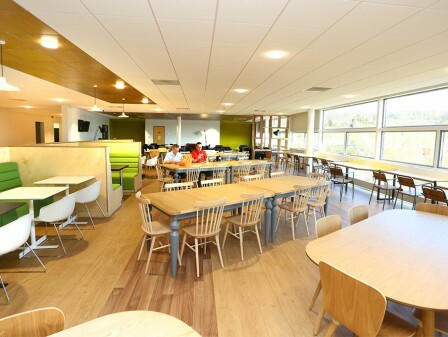 The design included a revamped servery, quiet seating area, TV zone, games space, booth seating and improved kitchenette facilities. 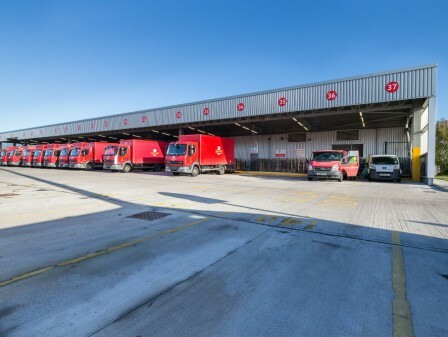 Tyneside, Greenford and Southampton Mail Centres were completed in the first phase as trial sites. 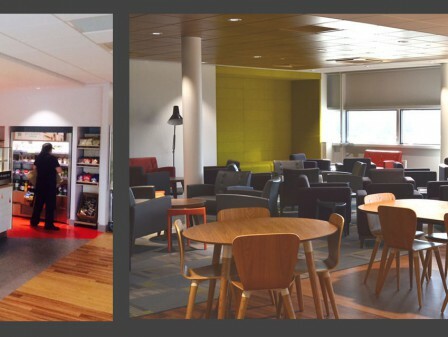 Following this Watson Batty Architects undertook an in-depth review of how the spaces were being used by the staff. 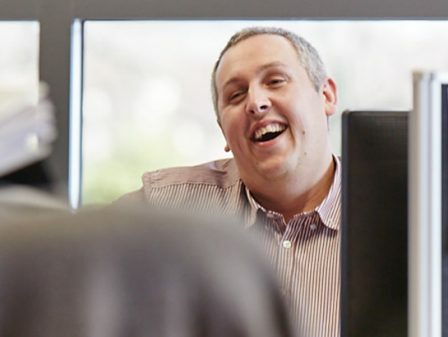 The concept was further developed and rolled out across three additional Mail Centres at Jubilee, Birmingham and Chelmsford.